Weight loss is often viewed as this mammoth challenge that requires you to be on your toes all the time. While it is true, that the journey is not the same for everybody- some tend to have a better metabolism and lose whatever they have put on in a jiffy, for some it may take months and years. But for a sustainable weight loss, the first requisite is patience. Patience comes with time and gradual steps. Those who are new to the entire drill, best advice for them is to take it slow. If you have been eating four rotis for your dinner, suddenly coming down to one could send your body into a shock, which in the longer run may prove detrimental for your weight loss journey. Try to find balance and be at it. Here are 5 easy-peasy weight loss tips you can try at home. Yes you heard us, not gym, not a marathon field, we have got some tips you can try right in the comfort of your home and see the effects for yourself. When your surrounding is filled with a lot of food or easy-snacks like chips or namkeen, you are very likely to inch towards it, even if there are no real cravings for the same. Try keeping food, especially ready to eat snacks a little out of range to make sure you don’t break into a mindless munching session so often. When it comes to weight loss, size does matter at times. Big plates tend to give you an illusion that you have eaten less, this is because your food is scattered and you feel you need a second helping, even if you are not particularly hungry. Have food in moderate-sized plates to prevent consumption of extra calories and for a more honest picture. In your mains, try to sneak in as many healthy and fibre-rich veggies as you can. Cook them in curries, have them grilled on the sides, you can steam or boil them too or mix them with your rice. A brown rice pulav, for instance is a good bet for an ideal fibre-rich, low carb meal. 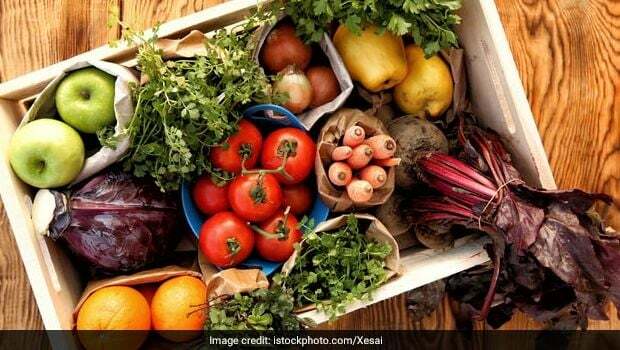 Weight loss: In your mains, try to sneak in as many healthy and fibre-rich veggies as you can. You may have heard that for a healthy weight loss, you must do away with sugar. Sugar only generate empty calories, that serve no nutritional purpose, instead gets accumulated as fats. While it is a good idea to ditch doughnuts, cakes and pastries etc, make sure you also keep a lookout for hidden sugar in ketchups, dressings, mayonnaise, and fruits cereals. They are often packed with added sugars that can contribute to weight gain. Read the label carefully before purchasing. Do not swallow your food at one go. Eat slowly, chew your food well. Chewing your food increases it’s digestibility. It enables better breakdown of food and a smoother passage through the tracts. Healthy digestion is key for healthy metabolism and weight loss. When you eat fast, your brain does not get time to register when you are full, so you end up eating more calories than you actually need. Eating slowly thus helps you consume lesser number of calories. Got more easy tips to share? Tips that may have helped you to stick to your resolution of losing weight? Do share it with us in the comments below.